Supplied with side handle (shown above) for two-handed operation and suspension point. 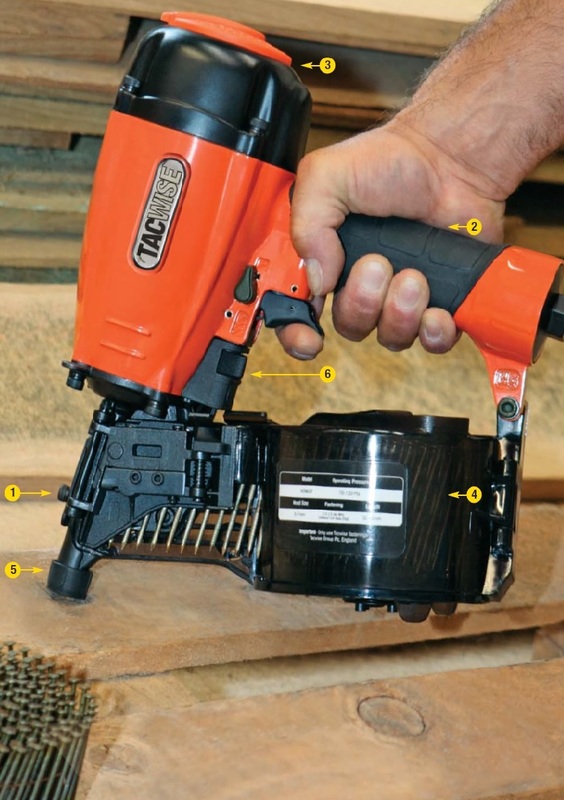 This powerful nailer has a single shot trigger and good power to weight ratio. Mainly designed for large packing case, crate and cable drum manufacture. Also widely used for heavy duty pallets, framing and steel skids.